I love vintage magazines, they’re a wealth of information on everything from popular culture stories to craft projects, fashion styles, recipes and some highly inappropriate advertisements. 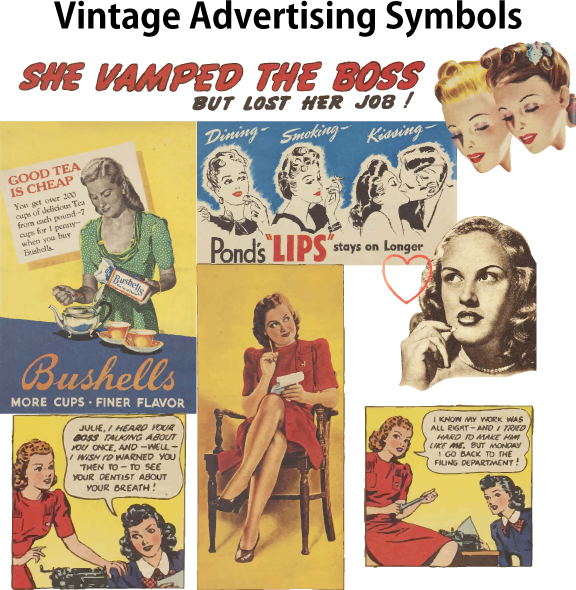 Ads for everything from lipstick that stays put when you’re smoking and snogging, a love of aspirin and the poor secretary who was sent back to the filing room because of her halitosis. Copyright Sarah Bradberry, June 19th 2013. All rights reserved.